Ohh ooh ohh Oh, oh ohhhhhhh!!! Mandisa Diane Hundley, artistically known as Mandisa (born October 1, 1976) is an American-Grammy award nominated singer who rose to fame as one of the favourites in the fifth (2006) season of American Idol. 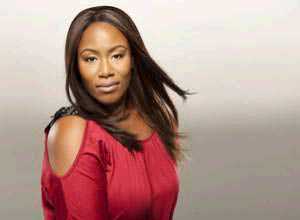 Despite finishing as the overall ninth place finalist, Mandisa has gone on to become one of the most successful idol contestants of all time. She has so far released four studio albums. "True Beauty" (2007) "It's Christmas" (2008) "Freedom" (2009) and "What If We Were Real" (2011) Mandisa's music ventures a blend of Christian music, soul, pop and R&B. .